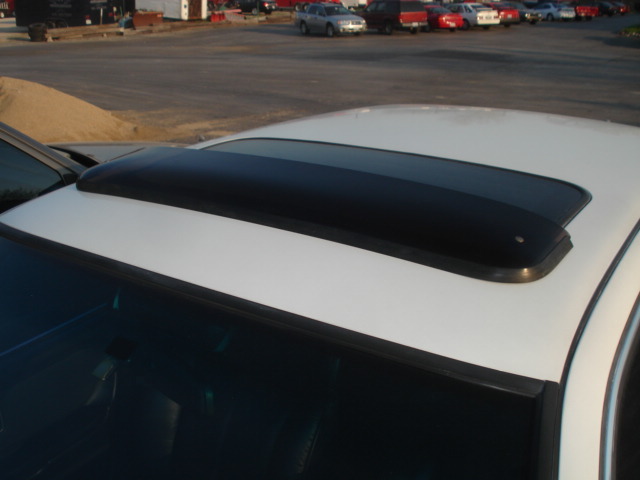 New Scorpio or XR tinted sunroof wind deflector shield. Secures in place with two sheet metal screws. Allows sunroof to be opened an eliminate wind drag into cabin. Keeps rain out when roof is partially opened. No Longer Available.